Richard Brinsley Sheridan (1751 - 1815) was a writer, actor and politician. He is most famous for his play ï¿½The School for Scandal.ï¿½ ï¿½The Geraniumï¿½ was written in the 1770s and about half is reproduced here. 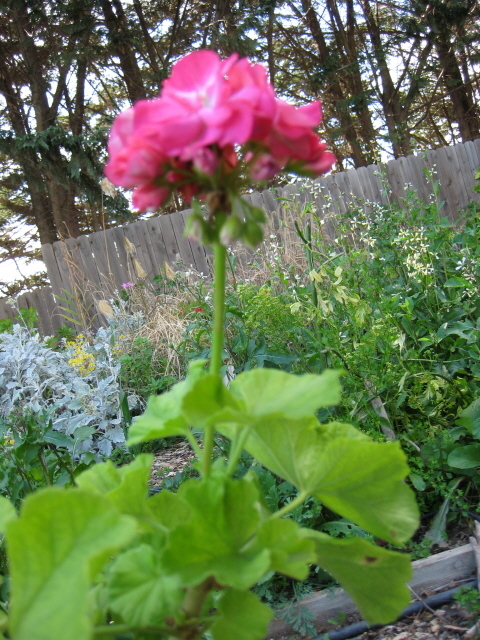 ï¿½Observe yon sweet geranium flower. Hangs down its pale declining head. To all her followers lends a clue. Are but the works of generation. He sheds his seed, and drops again. Feels not, as yet, the plastic ray. Then, too, he sheds his seed, and dies.